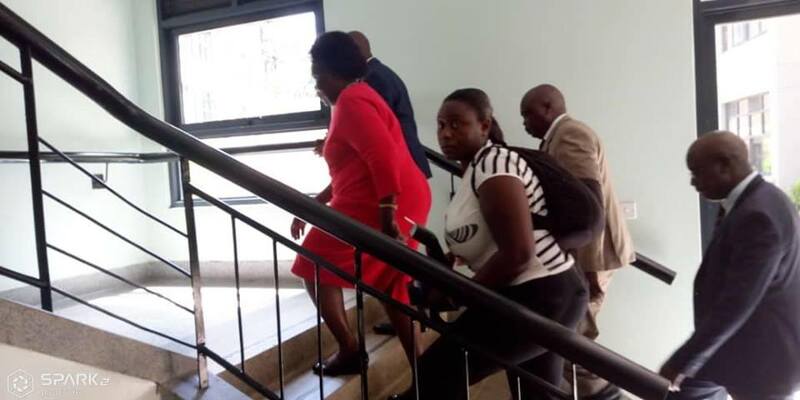 KAMPALA – The Leader of Minority in Parliament Ms. Betty Aol Ocan has Tuesday afternoon, February 26 led a delegation of shadow ministers to the New Mulago Specialized Women Hospital. The team has gone to conduct a Periodical and impromptu supervision of the National Referral Hospital where they are assessing the working conditions of the Staff, the capacity of the health facilities to respond to dire conditions, the general challenges in the hospital, among others. Ms. Aol Ocan and her team have been received and ushered in by the Director of Mulago Specialized Women Hospital Dr. Evelyn Nabunya who is taking them in and around the hospital. Construction works for the 9-story hospital was funded using a $25m loan from the Islamic Development Bank. The specialised equipment installed in the hospital cost at least $8m according to Health Minister Dr. Jane Ruth Aceng. 180 health workers have also been trained in specialised maternal and neonatal services. The hospital is designed to accommodate 450 patients with one attendant each. The hospital is all piped to enable medical gases, nitrous oxide and oxygen to be pumped directly to patients on their beds without using an oxygen cylinder. There is also a laboratory where urinal tests and cancer screenings can be conducted. The facility is expected to reduce maternal mortalities which the ministry confessed remains high at 336/100,000 compared to the global rate of 216/100,000 live births.